Home pest invasion is a huge problem that can damage your home, plants, and lawn in no time at all decreasing your home's curb appeal. Regular home pest control maintenance is crucial for your property's integrity. The key to a pest free home and healthy green lawn is finding the right home pest control company that is experienced enough to get the job done right and to keep your home and lawn safe. With our well known home pest control services, we are able to take care of all your home pest problems whether it's ants, roaches, millipedes, rodents, or other unwanted critters. Our staff is highly trained from 50 years of household pest control industry experience. We do barrier applications to eaves, windows, doors, plumbing lines, cracks, perimeter of home, and entry points to keep pests out. Unlike some home pest control companies, we back our household pest treatments with our Quality Assurance Guarantee for your complete satisfaction. We are able to keep your home pest free from the outside with our effective home pest control methods that have been tested and proven to be effective. When you chose your home, chances are you did so with a vision of what life would be like. Dinner parties and happy family life inside, barbecues and summer parties outside are often part of a homeowner’s vision. Realizing that you have problems with insects or other pests can take the shine off of that vision. Pest invasion is a huge problem. They can damage your home, plants, and lawn in no time, creating potential health hazards for your family and pets. To protect your property and your family’s health, regular home pest control maintenance is crucial. 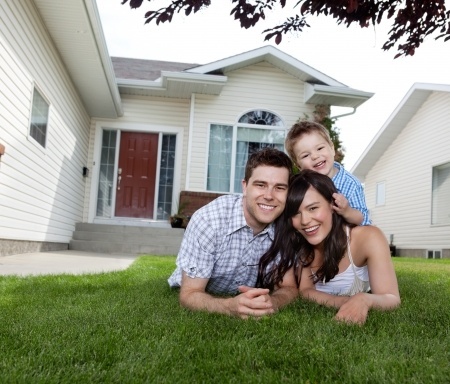 The key to a pest-free home and a healthy green lawn is finding the right home pest control company with enough experience to get the job done right and to keep your home and lawn safe. Whether you’re dealing with ants, roaches, millipedes, rodents or other unwanted critters, Green Solutions Lawn Care and Pest Control brings solutions – with well-known home pest control services and highly trained professionals to solve the problem. Serving Tampa Bay and the surrounding area, our staff has more than 50 years of experience in the household pest control industry. Our application technicians will come to your home and create a plan to tackle your pest problems. Our barrier applications can block pests from the eaves, windows and doors of your home. We can also protect the perimeter of your home and the plumbing lines if necessary. Our highly-trained technicians can respond to your call at a moment’s notice. Insect control is a big part of our business, but it isn’t the only service we provide. We also help to keep rodents out of your homes. Green Solutions Lawn Care and Pest Control is a licensed pest control company. If you hear rodents scrabbling around or have proof in front of you, we can get rid of them and make sure your home remains rodent-free. Mice and rats don’t stand a chance when Green Solutions’ pest and rodent control technicians are on the job. We stand behind our treatments, with our Quality Assurance Guarantee for your complete satisfaction. To ensure your happiness with your home, lawn and our services, you, our customers, can call on managers anytime with unsolved questions or concerns, with no limit to the number of contacts. We can keep your home pest-free using non-invasive, effective home pest control methods, tested and proven to be effective.